The first piece in a series. 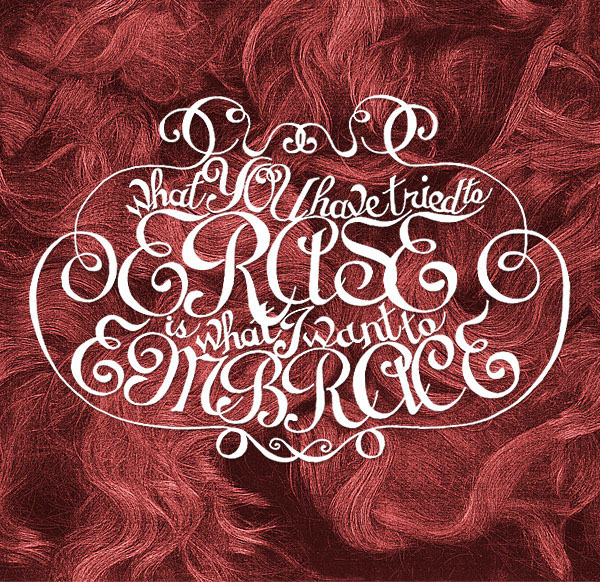 Experimenting with hand drawn lettering and hair. First piece in the series. The hair portraits were made on a photo copy machine (by putting my head on the machine). This piece was made from 10 scanned photo copies, combined, retouched and colorized in photoshop. Lettering is pen and ink on paper.